On its 27 October sitting, the Foreign Affairs Committee of the Riigikogu started the legislative proceedings of the bill on the ratification of the Estonian-Russian border treaties. At the sitting, the Minister of Foreign Affairs of Estonia Marina Kaljurand gave an overview the contents, background and impact of the bill. 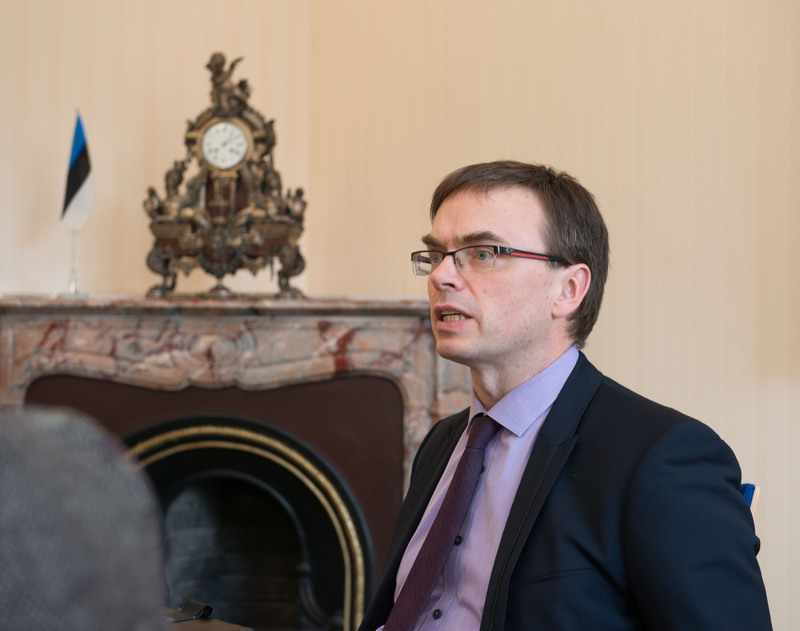 “We started our hearings with the meeting with the Foreign Minister, but before the first reading of the bill in the Session Hall of the Riigikogu, the Committee plans to meet with the representatives of the Ministry of the Interior, the Police and Border Guard Board, the Chancellor of Justice, the think tanks dealing with foreign and security policy, and the representatives of local governments near the border,” the Chairman of the Foreign Affairs Committee Sven Mikser said. “At the sitting of the Committee, we once again acknowledged that the border treaties establish only where the border line between the two states runs, and their ratification will not attempt to solve any other disagreements, including those concerning history,” Mikser emphasised. 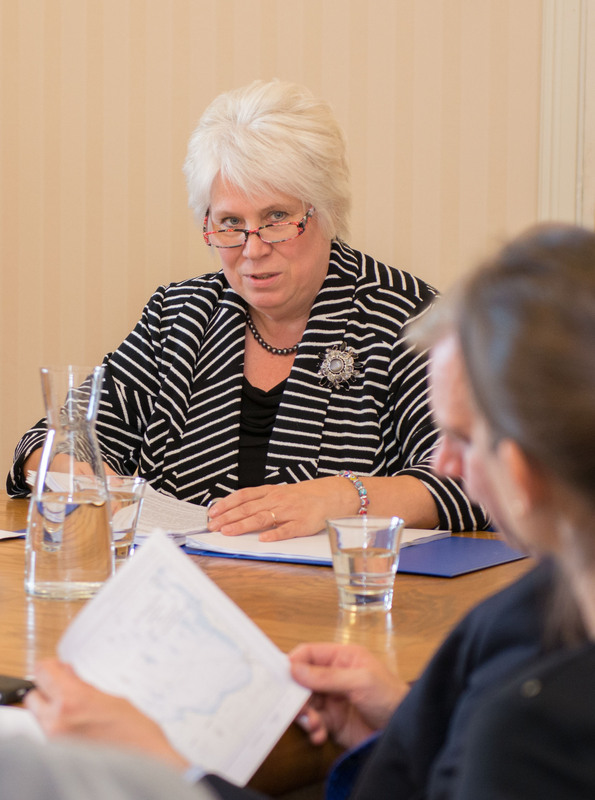 The Minister of Foreign Affairs Kaljurand proposed the Foreign Affairs Committee to ratify the border treaties. She said that she had been dealing with these treaties since 1992, first as an expert and now as the Minister of Foreign Affairs. “I hope that, as the Minister of Foreign Affairs, I will see the conclusion of the ratification process of the border treaties,” Kaljurand said. In the opinion of the Minister of Foreign Affairs, these treaties are equally necessary to Estonia and to Russia. 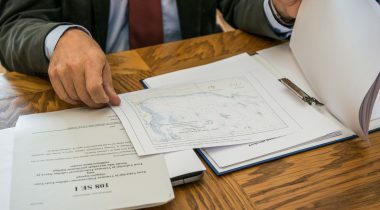 “I am convinced that a legally drawn up and correctly marked state border will strengthen the security of the Republic of Estonia even more,” Kaljurand said. The Minister of Foreign Affairs emphasised that the treaties are technical agreements that establish the state border on the land and the border between territorial waters. The treaties will also make the state border clearer and easier to guard. “They will solve the problem of the Saatse Boot, and some other issues. For the Setos who live on the other side of the border, in principle nothing will change with the signing of the border treaty, neither in the organisation of their lives nor their daily life. Since the restoration of the independence of Estonia, they have been living in the territory of Russia. Estonia has always supported them, and will continue supporting them also after the signing of the border treaty,” the Minister of Foreign Affairs said. The Board of the Riigikogu opened the proceedings on the Bill on the Ratification of the State Border Treaty between the Republic of Estonia and the Russian Federation and the Treaty on the Delimitation of Maritime Areas of Narva Bay and the Gulf of Finland between the Republic of Estonia and the Russian Federation (108 SE), initiated by the Government, on 13 October. Under the Riigikogu Rules of Procedure and Internal Rules Act, the first reading has to take place within seven working weeks of the plenary assembly following the opening of proceedings on the bill. The treaties are ratified by the Riigikogu. According to the Constitution of Estonia, the Riigikogu ratifies international treaties which modify the state border, and also international treaties whose implementation requires the passage, amendment or repeal of Estonian laws. The ratification of international treaties which alter the state borders of Estonia requires a two-thirds majority of the membership of the Riigikogu, or the support of 68 MPs. Bills on international treaties are discussed at two readings, unless the lead committee moves to conduct a third reading. The Act enters into force pursuant to general procedure. The treaties will enter into force in 30 days after the day of the ratification letters are exchanged. 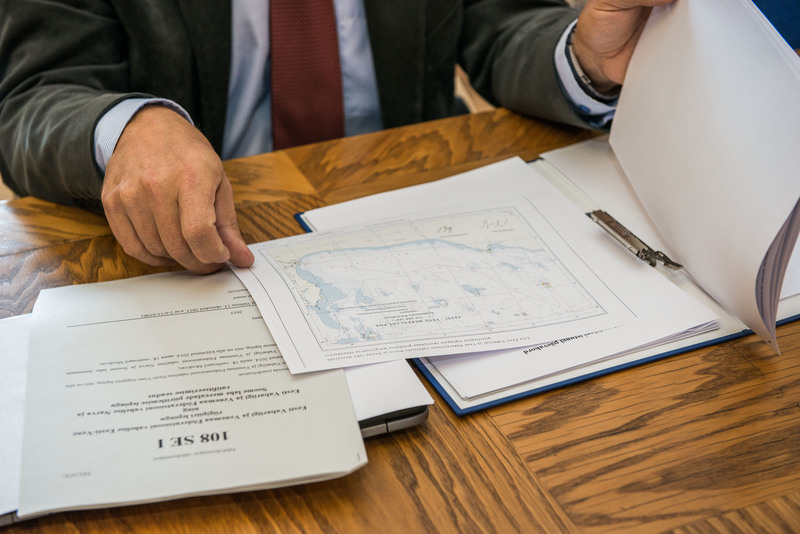 The treaties determine the state border between Estonia and Russia, and delimit the areas of Narva River and the maritime areas of the Gulf of Finland between the two countries. The state border that is agreed upon mostly coincides with the existing guarded temporary control line. In comparison to the present control line, certain lands will be transferred by both sides. According to the treaties, the changes on both sides of the control line will be equal on the lakes and on the mainland. On the Estonian side, most of the plots of land that are to be transferred are already owned by the state, but some still belong to private persons and the state has to acquire them. The Government approved the drafts of the treaties on 23 May 2013. The treaties were signed by the Minister of Foreign Affairs of Estonia Urmas Paet and the Minister of Foreign Affairs of the Russian Federation Sergey Lavrov in Moscow on 18 February 2014. The Government initiated the bill on the ratification of the treaties on 7 March 2014. The bill passed the first reading in the Riigikogu on 16 April 2014. As the mandate of the 12th Riigikogu terminated, the second reading was not conducted and the bill was dropped from the proceedings of the Riigikogu, and the Government initiated it again on 13 October this year.